Develop a Precision Game Plan then print super-accurate Yardage Charts or send it to your GPS-Enabled Smartphone. Or follow the pros on the PGA and European Tours using the pre-mapped courses on our Pro Calendar. 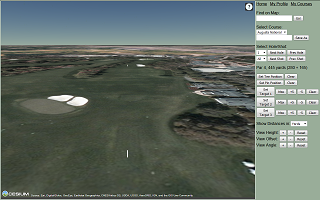 Or explore some of the greatest courses in the world on our Global Map and Features pages. Everything you need to take your game to the next level. Learn How it Works or take a quick tour of Pebble Beach and Bandon Dunes.